One of the greatest habits we can ever develop is the habit of gratitude. The more we practice being thankful, the more joy and peace we will have. Having a gratitude attitude helps us to be positive and optimistic because we are more likely to focus on what we have rather than what we do not have. 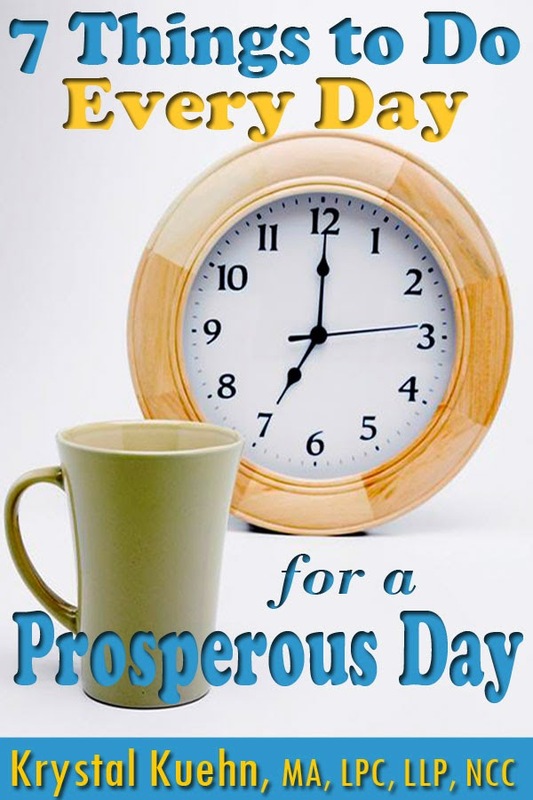 We also are more likely to appreciate simple things in life like remembering to be thankful for a new day. When we practice being thankful, we like to let others know we appreciate them by the way we treat them. Also, we are much more likely to enjoy what we have and what we do, or at least find the good in it. And, when we make gratitude a habit, we tend to not take things or people for granted. When gratitude fills our hearts, we practice it with our words, attitudes or actions. Practicing gratitude keeps us from grumbling and complaining. But, that is the key. 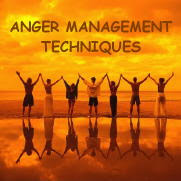 It is a healthy habit and must be practiced daily. It is all too easy to allow disappointments, pressures of life, troubles, and people to steal our gratitude. We must guard our hearts all the time and stay thankful if we want to be happy. 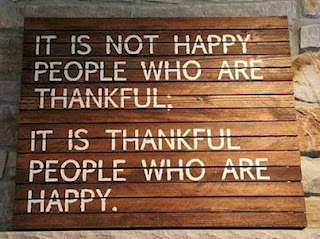 Remember, these simple words of wisdom: It is not happy people who are thankful; it is thankful people who are happy! Copyright 2013 All Rights Reserved. 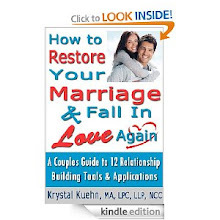 Written by Krystal Kuehn. Recommended resource on GRATITUDE - Discover the untold power of gratitude in every area of your life. You will be inspired to receive and enjoy the good things in life that are available to you every day. Your life and the way you live it will never be the same once you discover the miraculous power of gratitude! 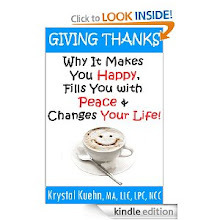 Giving Thanks - Why It Makes You Happy, Fills You With Peace and Changes Your Life! 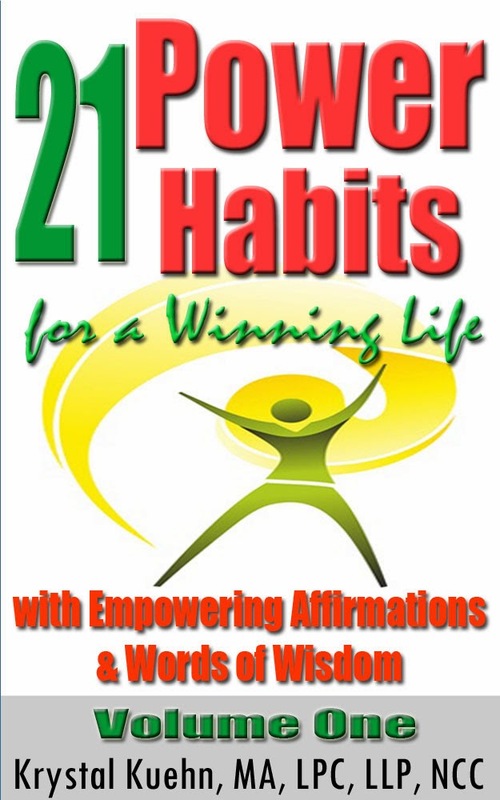 Recommended resource on the power of habit: In 21 Power Habits for a Winning Life, you will be empowered to have a winning perspective and attitude in all areas of your life. 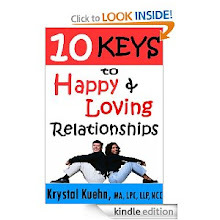 Each chapter discusses a power habit with empowering affirmations and words of wisdom to help you understand and apply the principles to your life.